The following morning at dawn, four thousand foot soldiers came up on the eastern wall of the city. Macreedy cheated. He brought his elves in close, covered with glamours to look like men, and he kept a withering fire of arrows up on the city wall. The Picts dared not stick their heads up, which would have left them staring into the sun in any case. Festuscato noticed when Constantine’s men made it over the wall with so much ease, and he yelled and made Macreedy’s elves back off. But by then, the east gate swung wide open, and the defenders of the city started fleeing to the fort, hoping only to get out of the city alive. Hellgard and his Jutes were ferocious and cut off a large number of Picts. They slaughtered the Picts, and as reported, it ended when an old British woman came running from her burned home and threw her arms around the Jute in gratitude. Festuscato only felt sorry that photo journalism had not yet been invented. Emet of York and his men tried to take the gate to the fort where the Picts were streaming in, fleeing the city. He lost his life, his men got beaten back, and Festuscato yelled at the whole council as soon as he had them together. “I understand Emet’s concern for his wife and children, but you agree to a plan and you stick to the plan. Emet was a moron, and if the Picts had not killed him, I would consider doing it myself.” Everyone got stunned and silent. “No, that is not true. There must always be room for initiative, but common sense and reason have to be considered as well. Sometimes, if some of you show some initiative, it might not work out. Sometimes it will. In this case, Emet should have pulled back when the enemy turned on him in the gate, but he let his heart overrule his mind, and he paid the full price.” He fell silent, having put a pall on the celebration. The men took a time to congratulate one another. For all Festuscato told Hellgard about peace, he knew the quickest and best way to build camaraderie among the peers, and among the men for that matter, was to fight side by side. If Rome had learned one thing while depending on so many different Germanic tribes to defend the border, it was that. When things quieted a bit, Festuscato knew one more thing was important to say. “Constantine, you did an excellent job. Every man here had an opinion and got a fair chance to express it. You followed the best ideas, found the weak point in the wall, and put the sun in their eyes. You used your knowledge of the city to cover the various sections of the city and root out the enemy, and overall at the least cost to your men. Very good. Now Wainus can have another chance to surrender, and while he thinks it over, you have two things to decide. First, you can plan for what to do if he does not surrender. The fort will be a tough nut to crack. Second, you can plan for what to do if and when he does surrender. Keep in mind there must be consequences, not only for the Picts to remember, but for your own men to get some satisfaction for their losses. Not too little, but not too much. You need to decide just what consequences will cause peace to happen, hopefully for a long time to come. Good luck.” Festuscato walked out and left it in the hands of twelve men. Noon the following day, the body of Wainus got thrown from the top of the fort wall above the front gate. The Picts laid down their weapons and came out. Constantine took one in ten, and made an effort to get one in ten of the chiefs. Three hundred and seventy-six men lost their heads. The rest got escorted back to Hadrian’s wall. Constantine went first to Edinburgh, above the wall. It had been the cornerstone fort designed by the Romans at the end of the Antonine wall. 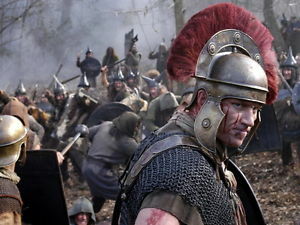 It got staffed in Roman times by auxiliary troops, which meant British troops with a British Lord, and even when the Romans left Britannia, it never got deserted. The British auxiliaries were supposed to keep an eye on the Scottish settlements in the lowlands, build a buffer state against the Caledonians, and give warning of any Pictish incursions. They had mixed success. For one, the fort was only accessible at present over Scottish lands, and in troubled times, it could only be reached by sea. Manned by a thousand soldiers, it was supposed to control the Eastern Lowlands down to the River Tweed, but since the start of the Fifth Century, it did well to control a twenty-five-mile safe zone around the fort. In some ways, it became an example of Roman overreach. It sat too far north, and since the Antonine wall got abandoned two and a half centuries earlier, many wondered why the Scots had not already taken it. Lord Luthanel ran a tight ship, as Hrugen the Dane said, but Luthanel did not have the manpower to do much. Constantine assigned four hundred Amoricans, effectively doubling Luthanel’s forces. They were to restore control to the southern boundary at the Tweed and force out any enterprising Scots who refused to acknowledge the Lordship of Edinburgh or refused to pay the taxes. 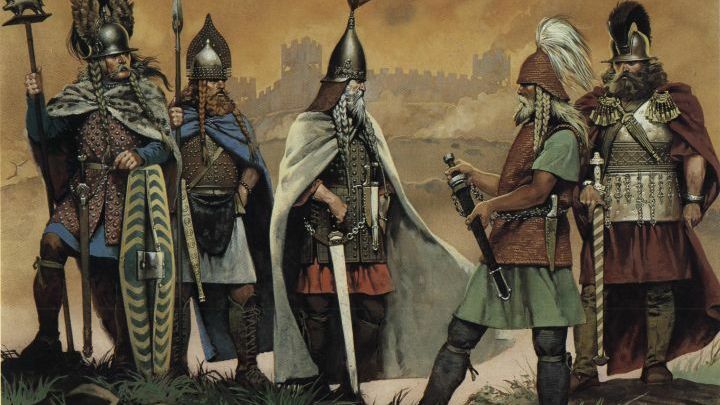 Luthanel pledged to be vigilant, to watch the Picts, control the flow of incoming Ulsterites, and keep an eye on the Danes who were pushing up toward the River Tyne. It felt like a lot to expect, but time would tell. 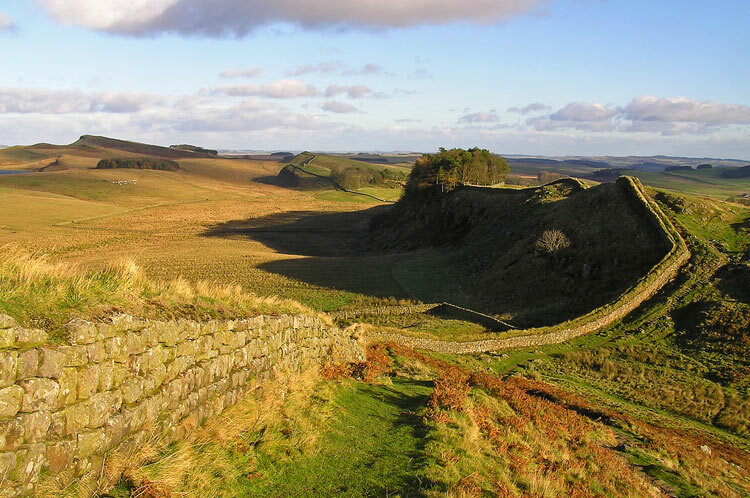 Hadrian’s Wall had some thirty forts and mini-forts along those eighty miles of stone. Most of the forts had been abandoned over the last forty years, but the few on the main north-south roads were still in operation. All of the north-south trade and immigration happened there, and the men who manned the forts were able to collect tariffs, fees, and taxes from the people passing through. It became a lucrative business. Constantine put an end to that business, twice by spilling blood, and he found volunteers among is own Amorican soldiers to man the forts properly and use the funds to upkeep the wall. “You have given away half of your own troops,” Festuscato pointed out, but Constantine merely rubbed his chin. “With their families, they will form the foundation for a strong defense of the north. 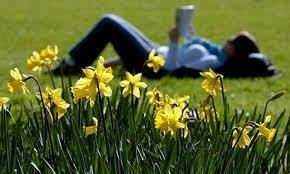 And a thousand men at Cadbury is more than I need to pay for,” he said. When they arrived at the western end of the Wall and the great fort Guinnon, they found it occupied by Scots. Nothing indicated of what happened to the former occupants. In this case, the Scots were no fools. Seeing an army of some four thousand men approaching encouraged them to abandon the fort and run back north of the wall. Then, even as the local British subjects cheered and celebrated, Constantine felt like he got in a bit of a fix. He did not have the men left to man the fort with his own troops. In counsel, Aidan from the British Highlands volunteered to bring ten thousand men women and children out of the highlands and to this dragon free land. He promised to man the fort and oversee the manning of the wall, and Constantine did not hesitate to invest him right there as Lord of Fort Guinnon and Defender of Britain. “You will,” Festuscato encouraged him once more. 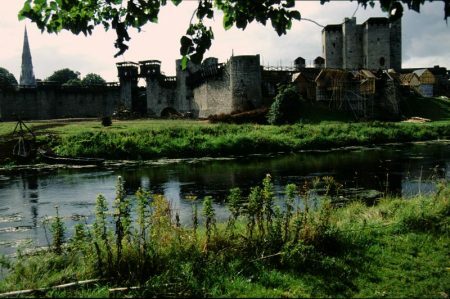 After the delivery of the Picts north of the wall and the grand tour of north Britain was complete, they came back to York to find the men left behind had made a good start on restoring and rebuilding both the fort and the city. Everyone pitched in for a month, and Constantine invested Hellgard the Jute to take the Lordship of York. He spoke to the Danes and offered a generous settlement, but one with a definite boundary, and he charged Hellgard to keep a good watch. Then the main part of the army retraced its steps to Oxford, where Constans got charged with building a strong fort to guard the ford and the road to Londinium. Constantine got tired of moving by then, so the army went home. Men were satisfied with what they accomplished and felt good about working together for once rather than fighting each other. But Festuscato strictly charged every lord and chief to come to Londinium on July fourth. He said they had to bring their sons, thirteen or near thirteen and older, and in some cases their grandsons. He would not explain why, but he said it would be a good thing, and he found a tavern by the docks and enjoyed himself, and looked forward to a warm fall and winter. That was where Mirowen found him, in bed with a sweet young girl. Monday: The Sword in the Stone. I am sure you guessed. It was inevitable, but there remain a few twists in the road, so don’t miss is.